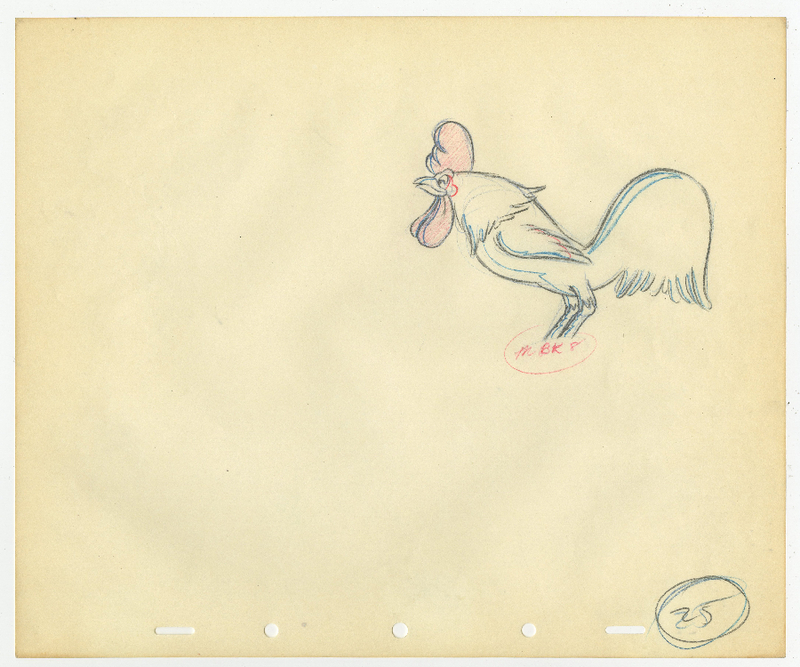 3.25" x 4.75",2.25" x 8.75"
This is a pair of original drawings from the Walt Disney studios 1943 wartime short, Fall Out-Fall In. 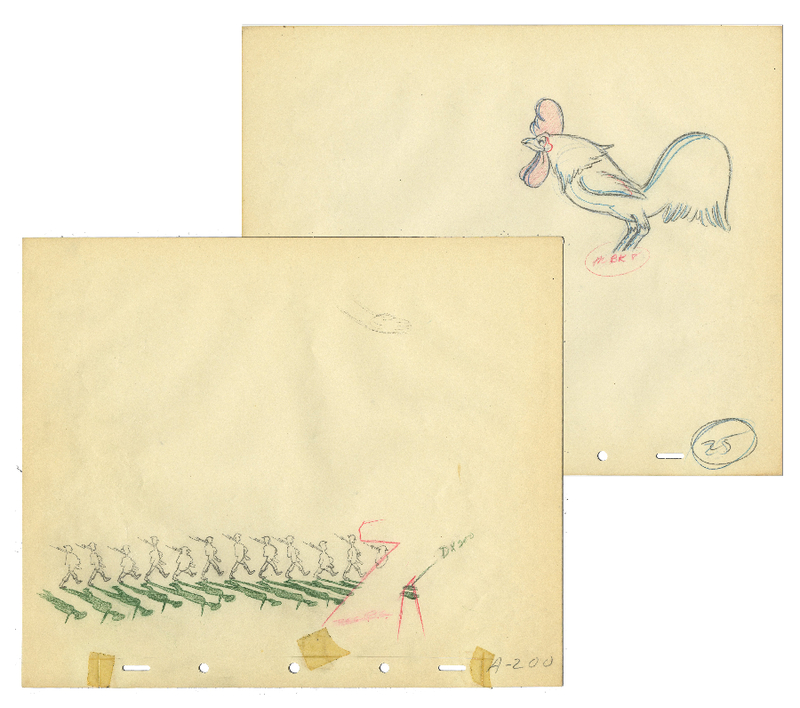 The drawings feature an image of a rooster crowing and a platoon of soldiers marching and both were created at the studio and used during the production of the opening scene of the Jack King directed World War II Donald Duck Cartoon. 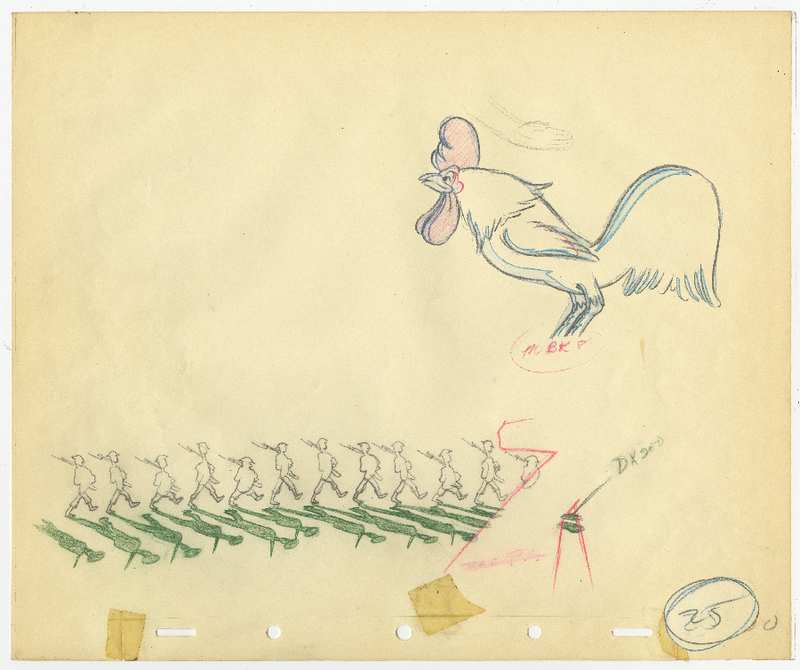 The drawings measure 10" x12" each with the rooster measuring 3.25" x 4.75" and the soldiers measuring 2.25" x 8.75". 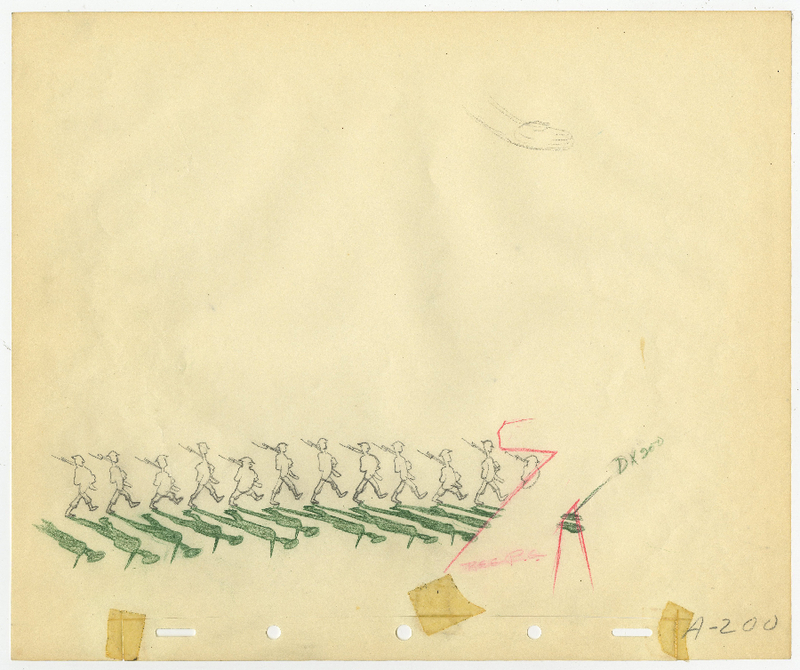 The drawings are in very good condition with minimal wear, and the peg holes on the soldier drawing were trimmed and reattached to alter the positioning of the animation during production. 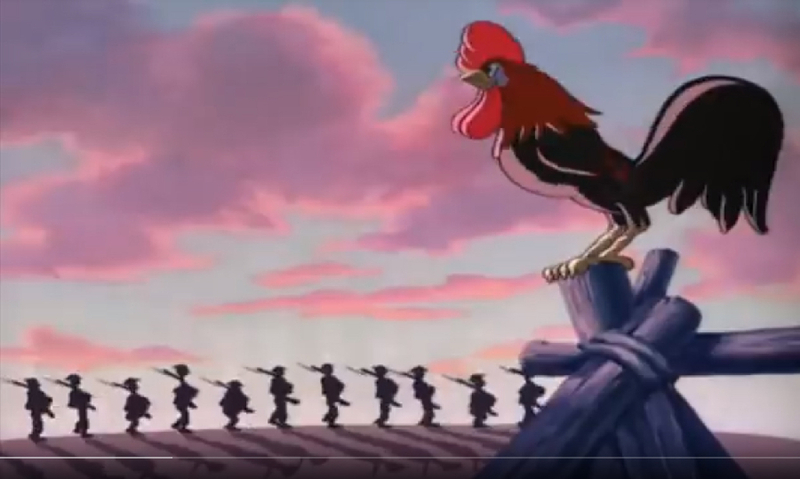 The final image is a screen grab from the short that is being shown for reference of the scene that these drawings were used to produce, it is not a physical print included with the drawings.